TOKYO (AFP) – Japanese auto giant Toyota said Tuesday it returned to the black in the fiscal year ended March and forecast surging profits despite being hit by a massive global recall crisis. The world's largest automaker reported an annual profit of 209.4 billion yen (2.2 billion dollars) and said it expected the figure to soar 48 percent in the current year, despite pulling around 10 million vehicles on safety issues. Toyota posted a net profit of 112.2 billion yen in the three months ended March, the height of the recall crisis, after recording a loss of 765.8 billion in the same period a year earlier. The company's annual profit, helped by cost-cutting efforts and buoyed by stronger domestic demand, marked a turnaround from a loss of 4.4 billion dollars the year before when it sank into the red for the first time. While the results come as the auto industry looks to be staging a recovery from the effects of the global downturn, Toyota's rebound has defied many expectations as it races to restore its battered reputation. Toyota overtook General Motors in 2008 as the world's top automaker, but safety issues have raised questions about whether it sacrificed its legendary quality to become number one. The beleaguered auto giant faces a host of lawsuits over "unintended acceleration" issues that have been blamed for 58 deaths in the United States, prompting the majority of the recalls. "We are still in a stormy environment," Toyota president Akio Toyoda told a news conference. "It was a year of being constantly on alert due to a series of recalls." He added that "this fiscal year marks a truly fresh start for Toyota and I would like to steer... towards new strategies for growth," including expanding its line-up of hybrid models. Senior managing director Takahiko Ijichi said recall-related costs in the financial year ended March would total 180 billion yen. 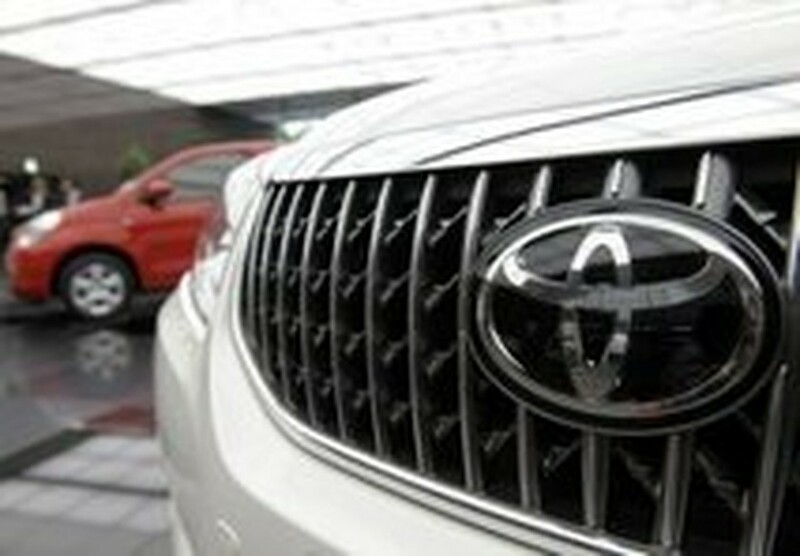 Despite the impact of the recalls, the automaker said it expected net profit to rise 48 percent to 310 billion yen, or 3.3 billion dollars in the year to March 2011. Toyota said earlier this month that US sales rose 24.4 percent in April from a year earlier as various incentives helped boost demand. For the year, global sales were down 7.7 percent, with those in North America down 8.9 percent, the carmaker said in Tuesday's statement. But vehicle sales in Japan were 11.2 percent higher thanks to government buying incentives. Masanobu Takahashi, chief strategist at Ichiyoshi Securities, said the results show that the carmaker may have navigated its way through the worst of its crisis. "Looking at the surface figures, I'd say Toyota has escaped its worst period," he said. "Toyota's operations will return to normal this year, unless it commits another serious mistake." However, he warned that looming litigation could potentially involve massive fines, as fresh questions over its recall process were raised in the United States. The US highway safety agency Monday launched an investigation into whether Toyota appropriately notified it of a steering relay rod safety defect in its Hilux trucks. Toyota issued a recall in Japan in 2004, but did not extend it to the United States until 2005. And US transport secretary Ray LaHood Monday refused to rule out the possibility of the automaker being hit with another fine after it agreed to pay a record 16.4 million dollars in April to settle claims that it hid defects. Ratings agency Moody's recently downgraded Toyota over concerns that product quality issues and the cost of litigation would dent its future profitability. Toyota has been hit with at least 97 lawsuits seeking damages for injury or death linked to sudden acceleration and 138 class action lawsuits from customers suing to recoup losses in the resale value of vehicles. Toyota shares closed down 0.71 percent in Tokyo ahead of the earnings announcement.